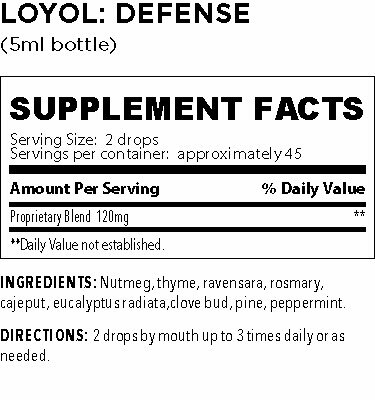 Defense Loyol essential oil supplement contains premium organic and wild-crafted essential oils. Proprietary blend of Nutmeg, Thyme, Ravensara, Rosemary, Cajeput, Eucalyptus Radiata, Clove Bud, Pine, Peppermint essential oils. 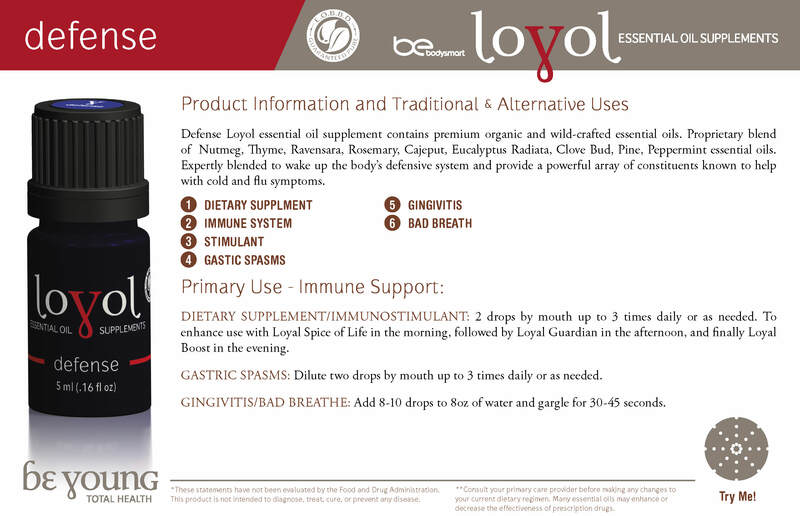 Expertly blended to wake up the body’s defensive system and provide a powerful array of constituents known to help with cold and flu symptoms.